Pacific invites all to join in the kickoff of our Latinx Heritage Month celebration with a reception and lecture featuring Professor Manuel Martín-Rodríguez, professor and founding faculty member at the University of the California, Merced. Join us at 5 p.m. for a kick-off reception at the Wendell Phillips Center Patio, followed by the lecture in Room 140. 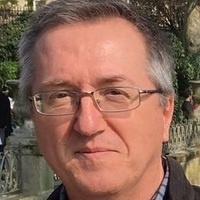 Publications include the books "P. Galindo: Obras (in)completas de José Díaz" (2016), "The Textual Outlaw: Reading John Rechy in the 21st Century (2015), Cantas a Marte y das batalla a Apolo: Cinco estudios sobre Gaspar de Villagrá" (2014), and "With a Book in Their Hands: Chicano/a Readers and Readerships Across the Centuries" (2014). His scholarly articles have appeared in edited volumes and journals, including PMLA, Modern Language Quarterly, The Bilingual Review, The Americas Review, and others. Martín-Rodríguez is also the publisher of alternaCtive-publicaCtions, a virtual press that has featured numerous Latino/a authors. He serves on the National Committee of the Tomás Rivera Mexican American Children’s Book Award and is an elected Académico de Número (permanent member) of the Academia Norteamericana de la Lengua Española.